Hot water flowing through the snow on a frosty morning in Yellowstone NP. Photographed while xc-skiing skiing out to Biscuit Basin on a snowy winters day. Yellowstone never seems to disappoint. Impressive place to be in the winter. Hope your week is going well. Beautiful image. Yellowstone in winter, awesome. I agree Yellowstone in winter is a very very special place. I heard myself whisper, “wow” when I viewed this photo, Mike. 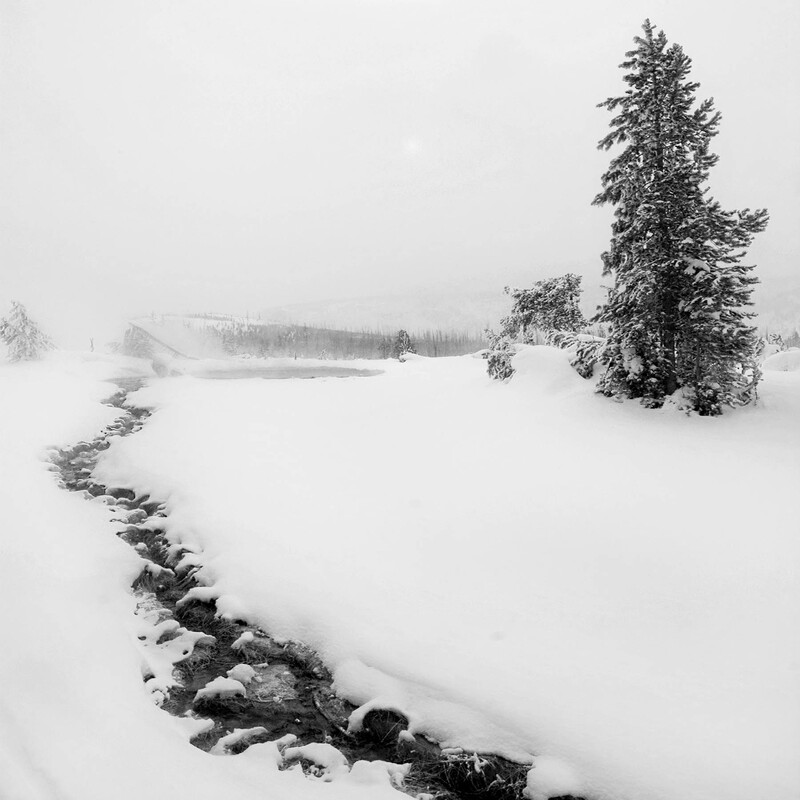 A truly exquisite glimpse of wintry Yellowstone. Thanks Jet, while Yellowstone is wonderful in summer it is very special in winter. Wow! Beautiful shot. I never would have seen this in the wild. Thanks for sharing. Thanks we only make it deep into Yellowstone on occasion so it is special for us and always changing. That sounds like it stays special that way! It does. Hop you have a great weekend.